Looking for an awesome beach? Here it is in Waimanalo! Aspiring young actress knows how to pose for the camera. Living in California she just may realize her dream. Beautiful purple sunset in Ko Olina, thanks to Photoshop! Photographer Robert captures the night-time coastline of Waikiki. Photo taken at Magic Island. 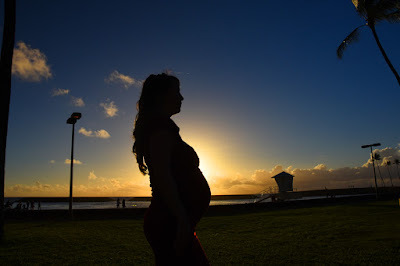 JoAnne shows off her baby bump with a nice sunset silhouette at Ala Moana Beach Park. 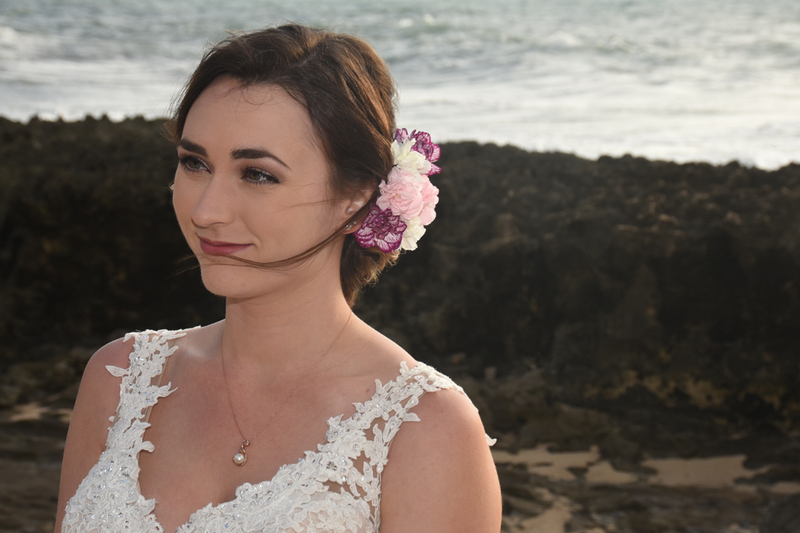 Wow, Jessica is a stunning Bride! 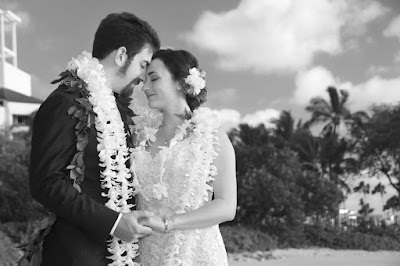 More beautiful photos at BRIDES OF HAWAII. Gigantic flower lei makes for a tropical wedding photo. 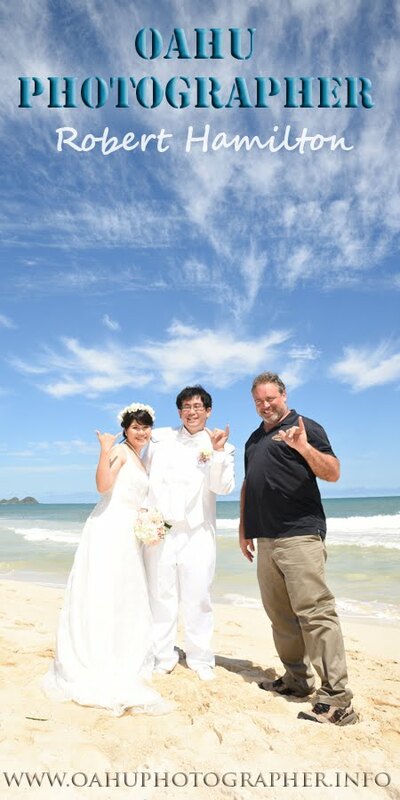 We hope your wedding is a happy one. 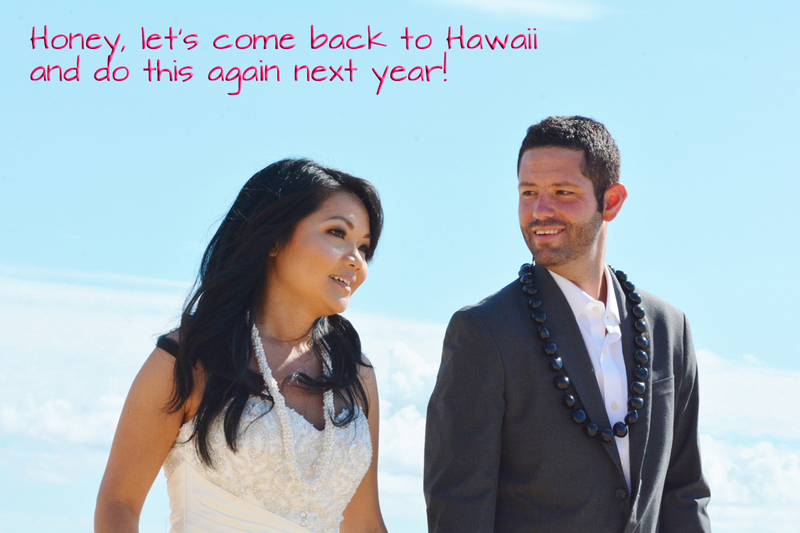 Come back again and recapture the marital bliss when you renew your wedding vows in Hawaii. 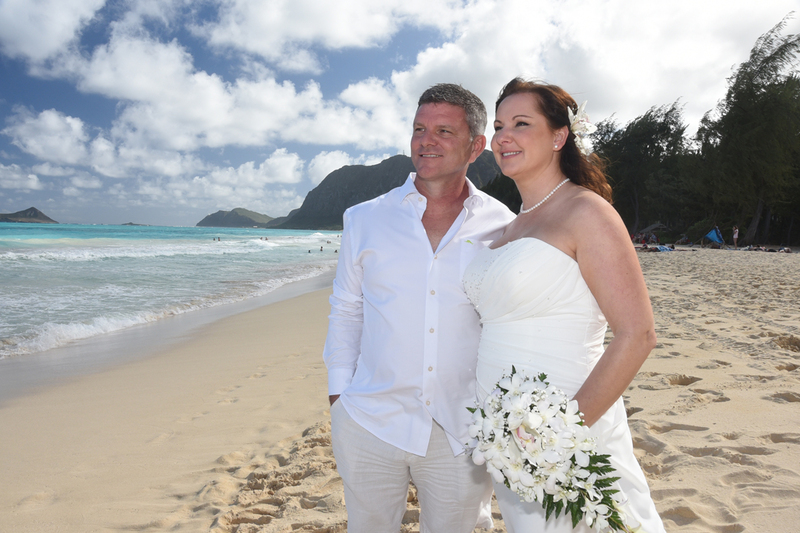 Photographer on the job in Honolulu Hawaii.